When you’re done shooting video using your Windows Phone, Microsoft hopes you’ll edit it with its new Video Tuner app. On Wednesday, Microsoft debuted Video Tuner, a new Windows Phone app for Windows Phone 8.1—and not Windows Phone 8, at least for now—which allows users to go a bit beyond Microsoft’s Movie Moments app for Windows Phone 8.1, which the company debuted a couple of months ago. As the name suggests, Movie Moments restricted users to editing a clip down to 60 seconds or less, then saving it or sharing it online. According to Matt Collins, global director of applications and partner marketing for Microsoft, however, Video Tuner will be more robust, with the ability to shorten, crop, flip, or rotate video clips, apply filters, and even layer audio tracks. The final cut can be saved to a small, medium, or large file size, and then shared to social networks or saved to Microsoft’s OneDrive cloud storage. Movies can be lightly or heavily compressed. As Collins noted, video editors are one of the app categories in which Windows Phone is under-represented. 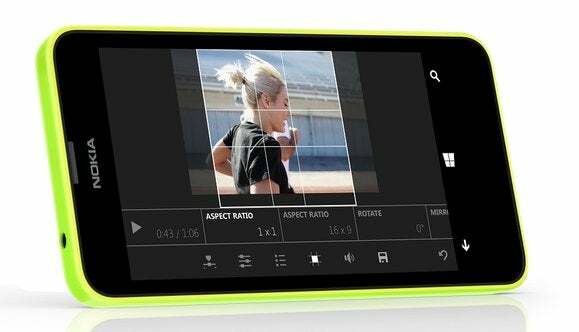 Movie Maker 8.1, a paid app, offers one alternative, as well as the Nokia Video Director companion app. “The Video Tuner application is designed to make video editing easy and powerful, to let users quickly and easily edit a video they’ve captured,” Collins said. Video Tuner does ship with some limitations. For one thing, Microsoft doesn’t intend to offer the app immediately on the Windows Phone 8.0 platform, as an incentive to push users to upgrade, Collins said. Because the idea is to allow users to quickly edit a video they’ve just shot, Video Tuner won’t allow cutting together two different video files, either. It’s also unclear whether the app will live on Microsoft-branded Lumia phones as a stock app, or whether users will have to download it from the Windows Store. You can apply image filters to video edited with Video Tuner, but only to the entirety of the video at once. In fact, it’s fair to think of Video Tuner as an Instagram for Windows Phone video. If you’d like, you can trim extraneous moments of video from the beginning and the end of the video, but not the middle. 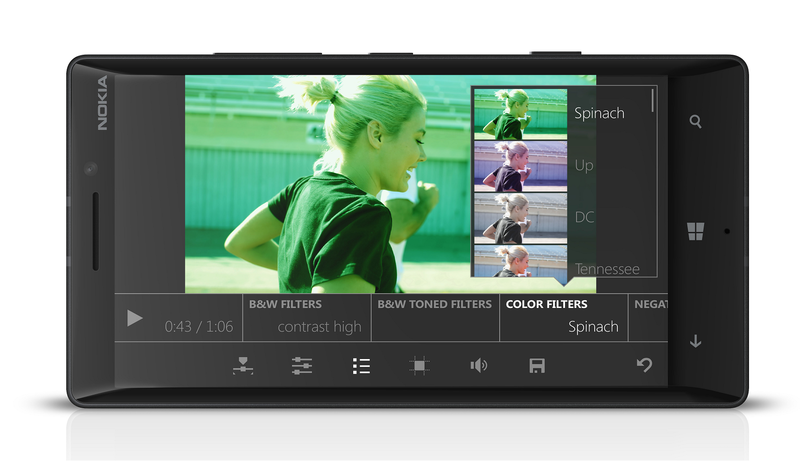 Yes, you can adjust the contrast, saturation and exposure—but to the video as a whole. And while you can layer a music track to begin where you’d like, it will play out through the end of the track. While a phone doesn’t necessarily lend itself to heavy-duty video editing, I found myself wanting the option of a bit more flexibility. Whether users choose Video Tuner or Movie Maker 8.1, they won’t have nearly the editing options offered by a Pinnacle Studio or the native iMovie for iOS devices—which gives Microsoft a lofty target to aim at. Video Tuner is built on the latest version of Microsoft’s imaging SDK, which should help third-party developers make their own, competing apps. Given that Nokia and now Microsoft have made the Lumia cameras one of the platform’s selling points, it makes sense for Microsoft to continue to invest in the tools to make that hardware shine even brighter.